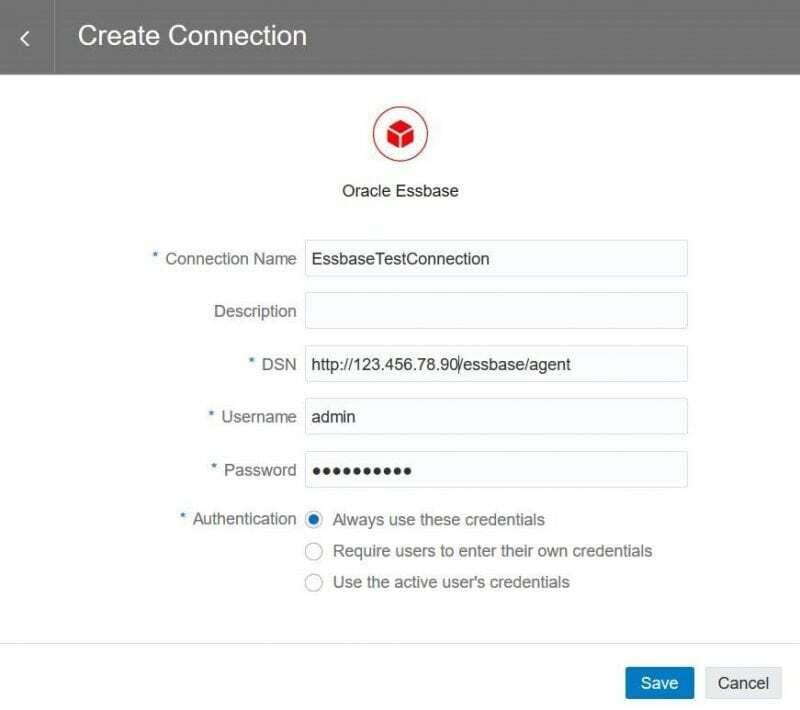 At first glance, setting up an Oracle Analytics Cloud (OAC) instance appears to be very straightforward. That is until you run into an error and you have no clue what you did wrong. 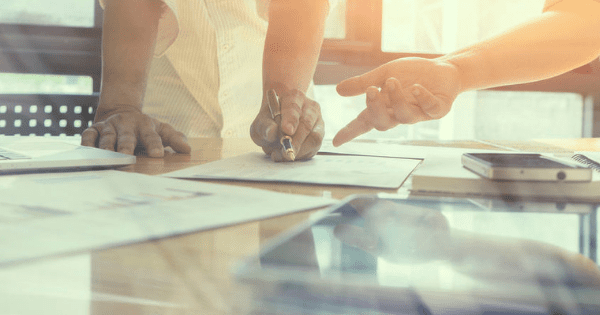 This blog is intended to help you hop over three pitfalls we unfortunately fell into while creating an Essbase service, setting up a Data Visualization service, and making a connection between the two. The first issue encountered was giving the Data Visualization service the same Schema Prefix used for the Essbase service. This caused the Data Visualization service to take ownership of that schema, thus no longer allowing access to the Essbase service. 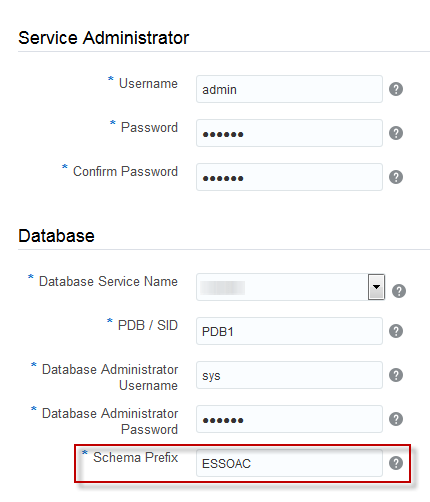 Be sure to create a unique Schema Prefix for each service you create as shown below. Keep in mind you can use the same Database, it just has to have a different Schema. The second pitfall we encountered came after we had recreated both Essbase and Data Visualization services with their unique schema prefixes. This time around, the service was failing during creation due to improper provisioning logs. Since the service failure process takes over an hour to complete, we had plenty of time to identify what was going wrong. What we found was that when we deleted the old Essbase and Data Visualization services, the old Storage Containers still existed. Essentially, the old Storage containers were still storing the previously created provision logs, which did not comply with the new Storage Container we were attempting to create. 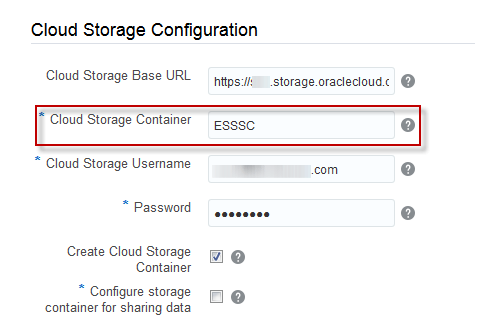 Be sure when you are creating the Storage Container for your service that it once again has a unique name from other storage containers. Also, confirm it has not already been used storing old information that will cause your creation to fail. The final pitfall came while attempting to create the connection between Data Visualization to Essbase. After trying multiple combinations on the connection screen, we could not identify the desired DSN. We suspected it would be the Essbase service IP address and its corresponding port number…we were wrong! If you follow our advice above you will look just like Indiana Jones dodging poison arrows, jumping over collapsing bridges, and outrunning the giant boulder! And, hopefully in the end claiming the ultimate prize, creating your OAC services and connections. Now go build some awesome visuals! *After patch 18.3.3-69 the DSN configuration has changed. The original format of the IP Address and Port is no longer supported. 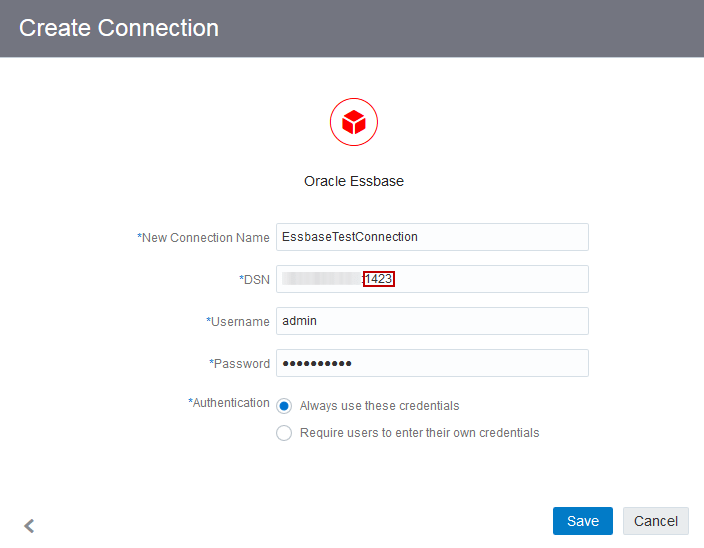 The new format for connecting an Essbase Cloud instance and a DV instance is shown below.